London has long been recognized as one of the world’s most historic cities, with dozens of well-known landmarks such as Big Ben, the Tower Bridge and Buckingham Palace scattered throughout the town. Uniquely, the open-top buses that transport visitors to each location are as iconic. Beginning in 1936, convertible-top buses were used to provide a relaxing trip for passengers in the summer months. In the 1970s, open-top buses were brought to London for tours to offer uninterrupted views of the city. Now, the streets are flooded with tour buses full of visitors and tour guides, who help guests understand the historical significance of every location and answer passenger’s questions. As part of the NFL On Location experience in London this October, fans will take part in this iconic age-old tradition. Riding, in bright red double decker busses, NFL fans will enjoy key London highlights and attractions. Additionally, On Location guests will conclude their tour at the London Eye, a 443-foot-tall observation wheel which provides panoramic views of the entire city. On a clear day, visitors can see as far as 25 miles into the horizon from its apex. The Eye opened to the public on March 9, 2000 and serves more than 3.5 million people, making it one of the most visited attractions in the world. Each capsule carries 25 people and one revolution takes approximately 30 minutes, plenty of time to observe London from a bird’s eye view. Topped off with glasses of champagne, this is a perfect opportunity to mingle with fellow fans and celebrate before gameday. With two of London’s most iconic attractions built in and the opportunity to add on even more cultural highlights, there truly is no better way to experience all that the city is famous for as an NFL fan. 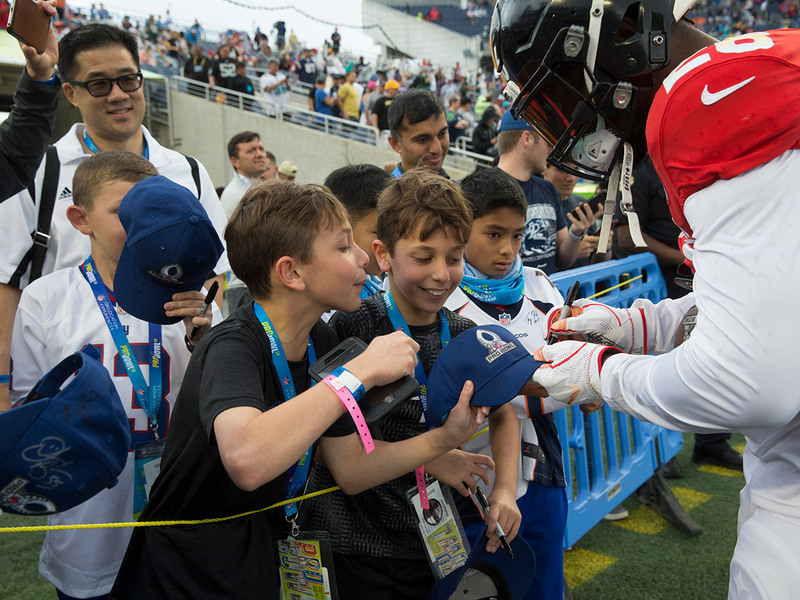 To learn more about our NFL London experiences, please click here.